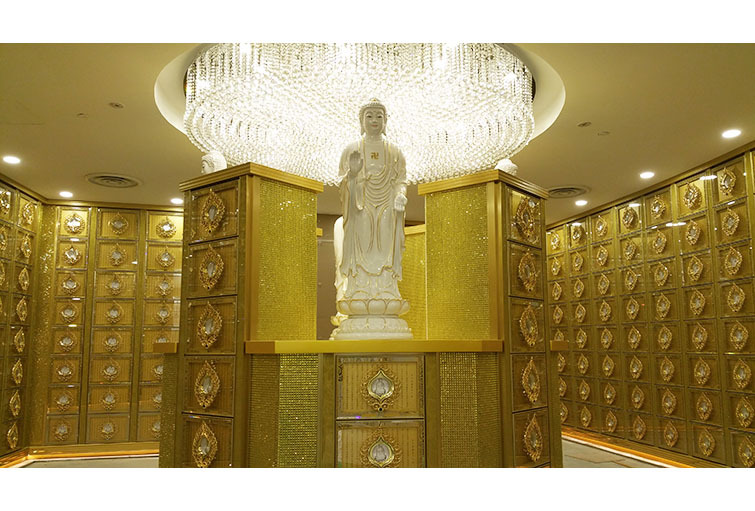 Buddha Amitabha, possess of boundless wonderful light, is known as “the Buddha of Immeasurable Life and Light”. 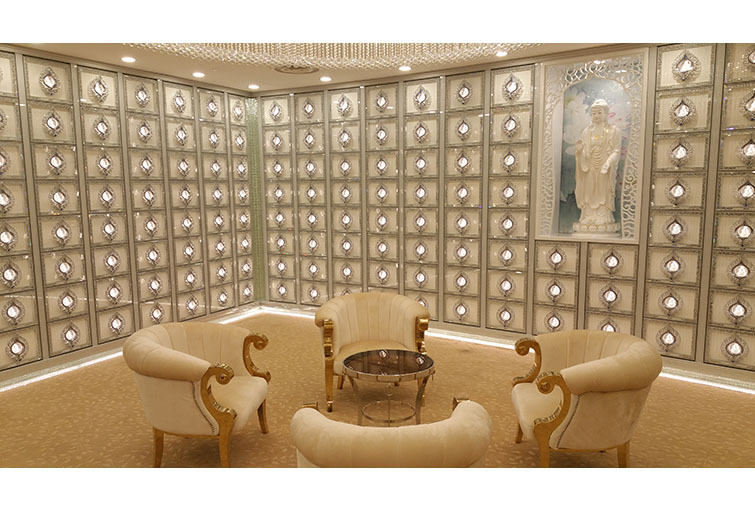 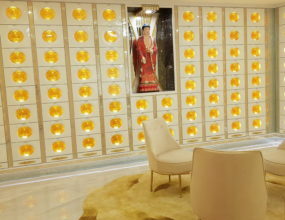 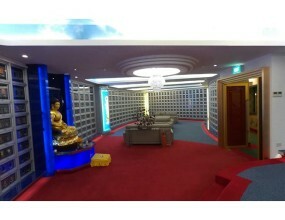 The left and right wing of suite 66 is designed with bright silver Bodhisattva leaves which are decorated with blue rhinestones, represent Buddha’s Infinite light shining in the whole universe without any barriers and illuminate all sentient beings. 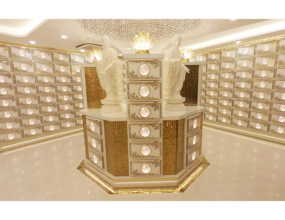 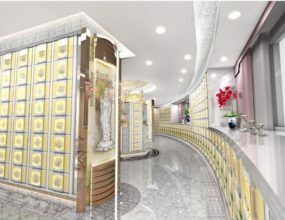 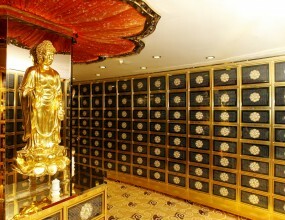 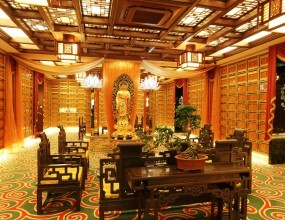 The Golden colour scheme was chosen for the atrium, representation of the Land of Ultimate Bliss, full of seven treasures pool and eight merits water.